Before you file away those forms, check for clues that can help patch up weak spots in your money habits. Don’t put away your tax return just yet. The numbers on that form offer clues on how to improve your financial future by showing how you make, spend and save money. Here’s where to look, section by section. Set up a side business. 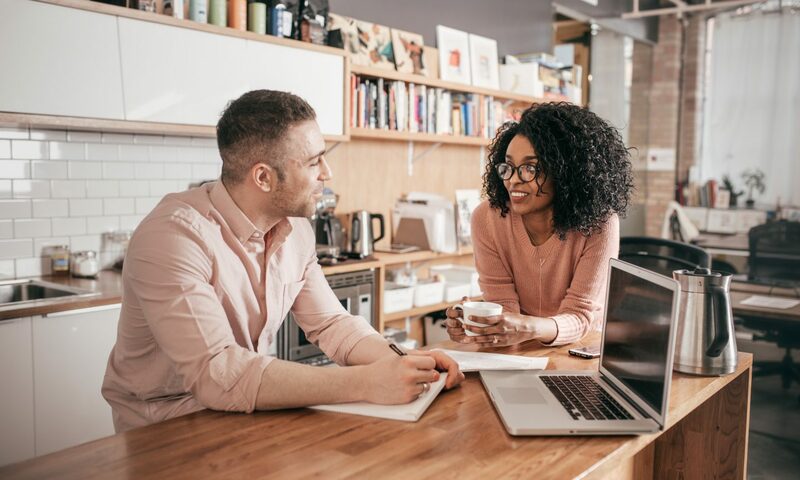 Self-employment — whether full time or as a side hustle — offers a bunch of ways to save on taxes, including deducting retirement plan contributions and health insurance premiums. You also can save by employing your kids, as long as you pay reasonable wages for legitimate services. Diversify your investments. Your return should show at least some interest from your emergency savings. If you don’t have an emergency fund, you need to start one — $500 is enough at first. Retirement contributions should be a top priority, but if you have additional income to invest, consider opening a taxable investment account. Investments held for at least a year may qualify for lower capital gains tax rates. Another option, for those prepared to be landlords: rental real estate. Exploit income fluctuations. If you might be in a lower or higher tax bracket this year, you can take some proactive steps. In a lower-income year, consider converting part or all of a traditional IRA to a Roth since you’ll pay taxes on the conversion at a lower rate. Roths provide tax-free income in retirement. In a higher-income year, you could accelerate deductions, such as increasing retirement plan contributions. “Above the line” deductions, which reduce adjusted gross income, have long been better than “below the line” deductions, which don’t. (“The line” is your AGI.) Many credits, deductions and other tax breaks are dependent on your AGI, so lowering this number can really slice your tax bill. Reducing AGI is even more critical now that Congress has enacted tax reform, since according to the Tax Policy Center the vast majority of taxpayers will use the nearly-doubled standard deduction instead. A note about retirement plans: NerdWallet recommends putting aside 15% of income, including employer contributions, but you can customize a plan using this calculator. And if you’re a low- to moderate-income family, learn about the saver’s tax credit that can reduce your taxes by up to $1,000 for the first $2,000 per person in retirement contributions. The credit can apply when incomes are up to $63,000 for joint filers, $47,250 for heads of household and $31,500 for singles. Deductions for mortgage interest, medical costs, charitable contributions and other itemizable expenses technically still exist, but fewer people will want to use them since their standard deduction is likely to be larger under the new tax rules. If you itemized your deductions this year, check that number against the new standard deduction for 2018: $12,000 for single filers, $18,000 for heads of households and $24,000 for married couples filing jointly. Keep in mind that the deduction for state, local, sales and property taxes is now limited to $10,000 and the rules have changed for mortgage interest deductions. Reconsider your home equity borrowing. Even if you can still itemize, you can no longer deduct interest on home equity borrowing unless it was used to “buy, build or substantially improve” your home. You should be cautious about tapping this financial cushion in any case, since you may need it for an emergency or to supplement your retirement income. Start paying down your mortgage. If you’re not getting any tax benefit from interest on your mortgage interest, let that be the excuse you need to start paying it down early. Just make sure you’ve paid off other, higher-rate debt first and are on track with retirement savings before you start sending in extra principal payments. Be charitable. Nonprofits are worried their revenues will plunge. Now’s the time to step up and help the causes you care about most, perhaps by setting up automatic monthly contributions or volunteering. Being generous may not directly help your net worth, but it’s a way to put your money where your values are.